The brief was to move Lexus to a place where it was as desired as it was respected and to connect it with a new, younger global audience as an innovation leader. Sister agency CHI devised and produced the hoverboard creative concept but the activation had to be as innovative as the creative. We built a digital engagement strategy for #lexushover using a tease-and-reveal approach that primed the online audience for the launch and kept audiences engaged for the duration of the campaign. We also coordinated the distribution of the campaign assets across nearly 100 global brand channels and collated and communicated all performance analytics. Working with ATN is a prime example of the amazing things that can be achieved when you combine technology, design, imagination and creativity. 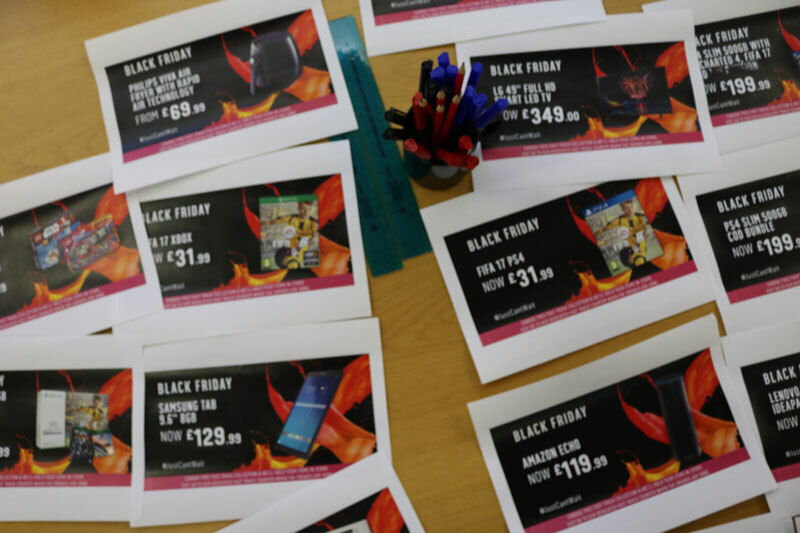 Black Friday had become the most intense retail moment of the year, to the point where if a retailer performs poorly it affects their entire year. 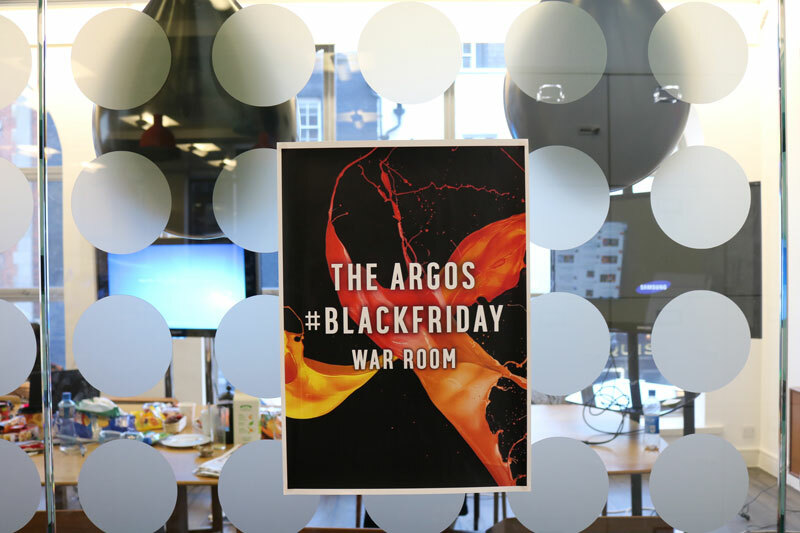 For #BlackFriday we wanted to respond with an entirely new kind of approach in social for Argos. We wanted something that would directly drive sales, cut through the noise, beat competitors and move at real-time speed to take advantage of the massive shopping event. 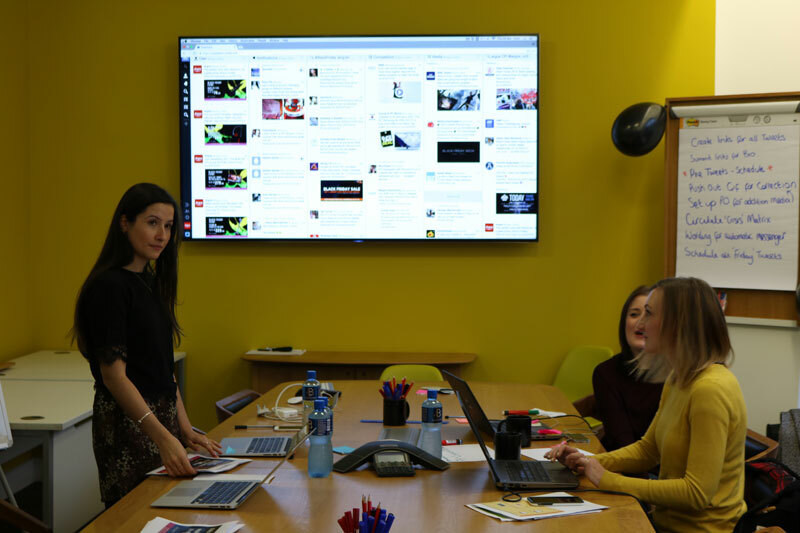 The #BlackFriday Social War Room is a multi-disciplinary, agile way of maximising content production, deal amplification and reach in a short period of time. It’s real-time data-driven marketing with a clear benefit to the business. Data showed that Black Friday doesn’t sleep, so neither do we. 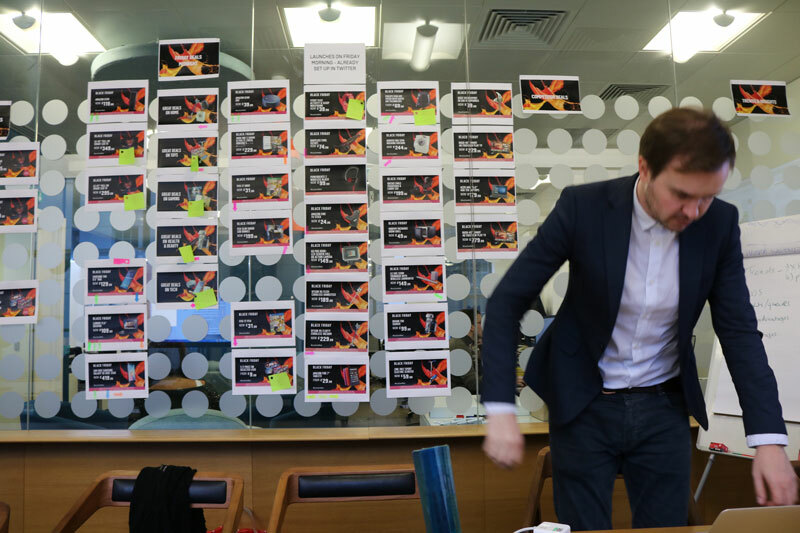 For 72 consecutive hours, the always-on, newsroom-style production facility contains everyone necessary to analyse, concept, create, design, check, approve and book all social content in real-time. 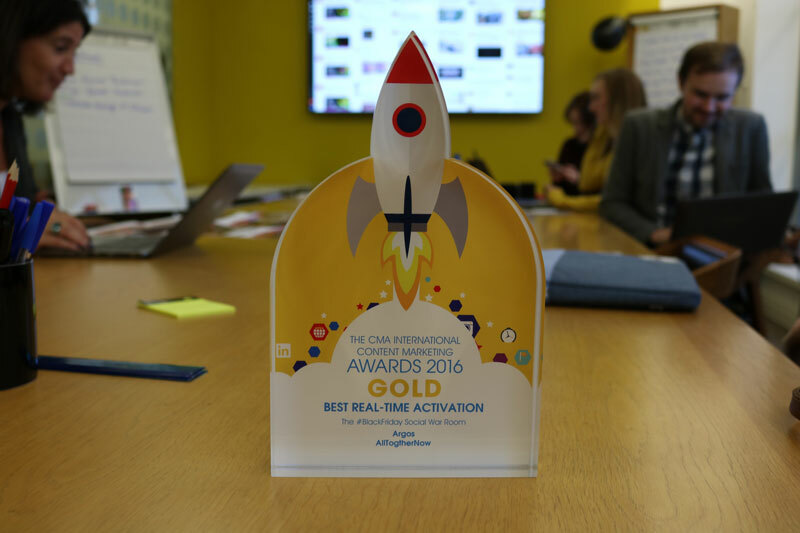 This is a great example of what can happen when content meets commerce in real-time with excellence in collaboration and best practice demonstrating that strong results always require teamwork. Adidas is an iconic global brand that needs to have an increasingly global conversation with its audience but maintain the flexibility for local messaging. 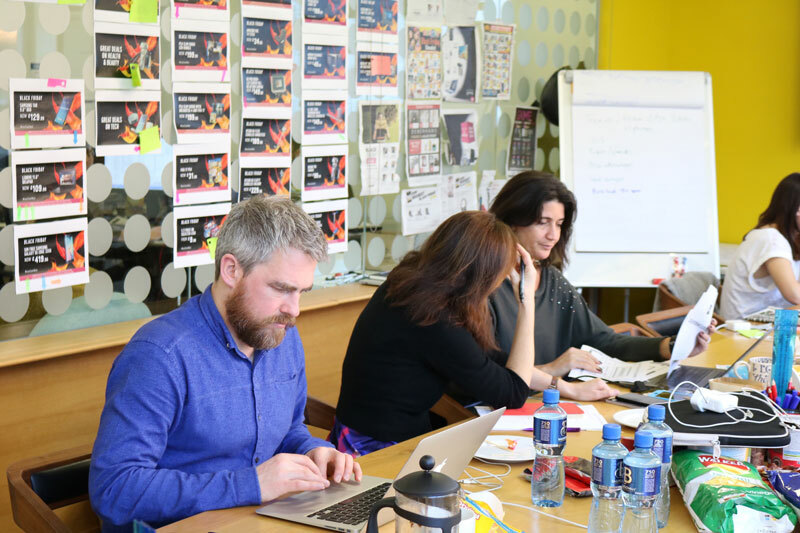 Our brief was to produce a Consumer Engagement Content Playbook that was designed to unify and optimise the brand’s consumer engagement content production across the world. 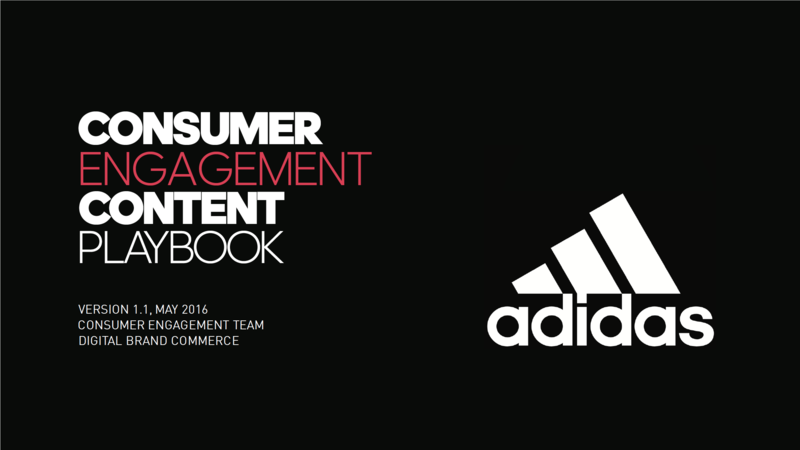 We conducted a series of interviews with key stakeholders at Adidas HQ and analysed current content performance data to develop an audience engagement strategy which would resonate across global markets. The Playbook contained a core set of principles, philosophy and best practice that empowered and unified content creators a ross the Adidas world network and agency roster. This has been a transformative piece of work for adidas. AllTogetherNow have brought a set of skills and experience to adidas that have enabled us to unlock the value we already have in the company. The Consumer Engagement Playbook is making a positive impact already and we’ll continue to revise it as adidas’ content creation evolves. Virgin Money are the official UK financial provider for Manchester United. To activate this partnership ATN were tasked with developing a launch campaign that celebrated a common ground between the Virgin Money brand purpose and the Man Utd fanbase. To kickstart the new relationship we developed the position of #gamechangers. We uncovered the true stories of inspirational mavericks whose love for Manchester United means they help drive the club forward through innovation. Each of our stories uncovered a unique character who proudly wears the iconic shirt, helping celebrate and fuel the spirit of those who live red. AllTogetherNow consistently impress us with the depth of their strategic thinking - brought to life by innovative ideas that are perfectly in tune with our target audience. Karen Millen’s brand purpose and personality is ‘Confidence through Distinction’. AllTogetherNow was tasked with bringing the proposition to life in social. As part of the project we needed to establish a clear and distinctive platform to showcase Karen Millen’s SS 2017 white shirt collection. To tell the story of the White Shirt – a product at the heart of the Karen Millen brand – we worked with three unique influencers to tell the story of their white shirt in their respective cities – London, New York and Paris. We developed a series of videos and a microsite. AllTogetherNow delivered a unique blend of creative, content and smart media distribution through our social channels that has had an immediate positive impact on our business. iD Mobile came to us looking to promote their new feature packed phone plan. Instead of their customers having to pick from Data Rollover, Bill Capping and Inclusive Roaming, they were now offering all 3 – rolled in to one plan. 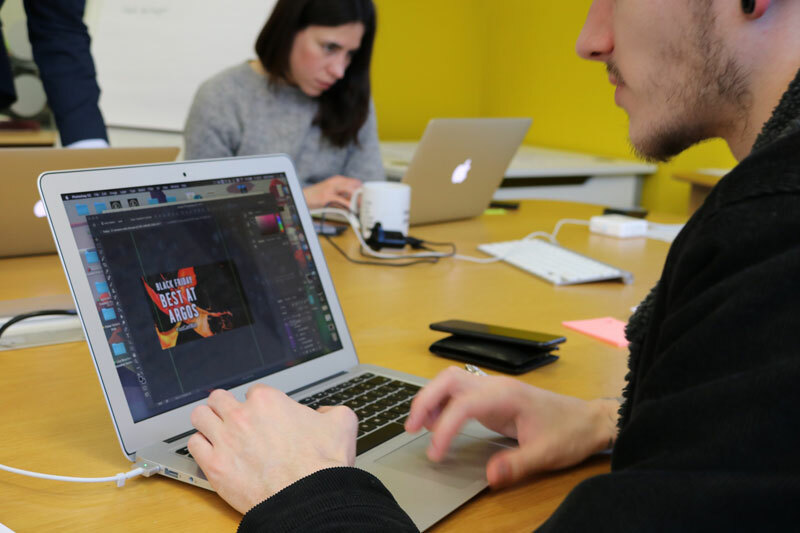 They needed a big, bold brand campaign that hooked people in with impact and humour – something that resonated with their young target audience and further drove brand awareness. Introducing iD’s new Customer Happiness Officer (CHO) – brought to life by BAFTA award winning comedian and writer Asim Chaudry (People Just Do Nothing). We kicked the campaign off with our hero brand piece – setting the scene for the campaign. 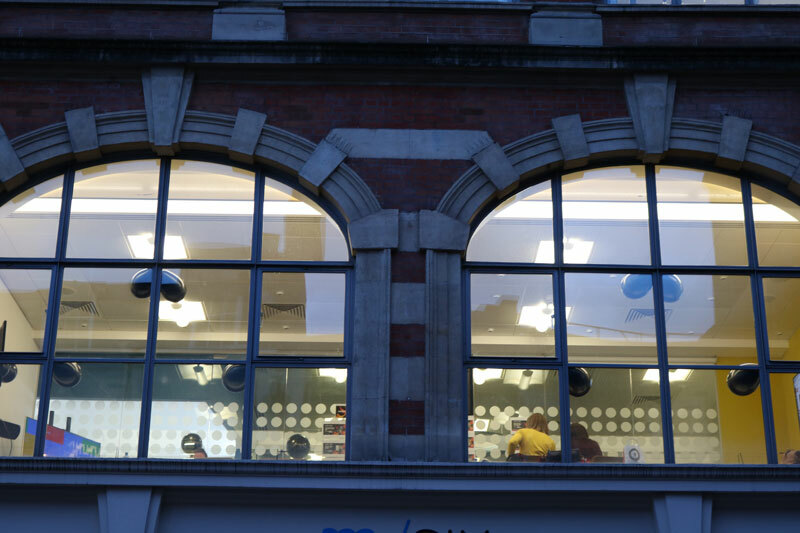 Our CHO was busy in the iD ‘secret customer happiness HQ’ – “monitoring” customers. We then followed up with 3 proposition specific ads – on the beach, in the bathroom and at a house party – with our CHO teleporting himself in to customers' lives, to spread word of this amazing new plan.